Sarah loves talking about flowers and sharing her insights into making floral harmony. 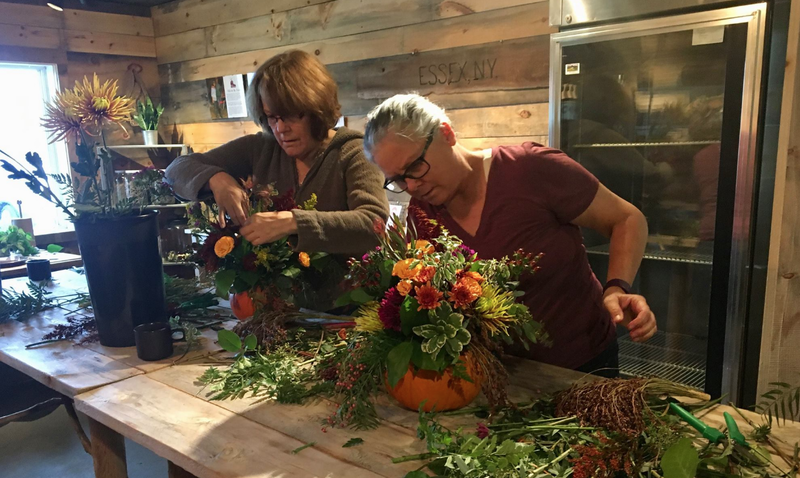 In her workshops offered throughout the year, she teaches techniques for achieving beautiful arrangements in the home through the design of a take-home piece. Workshops are for all ages and require no previous experience. Stay tuned--new workshops are blossoming all the time! Come back to this page or follow us on Facebook to find out about upcoming workshops! 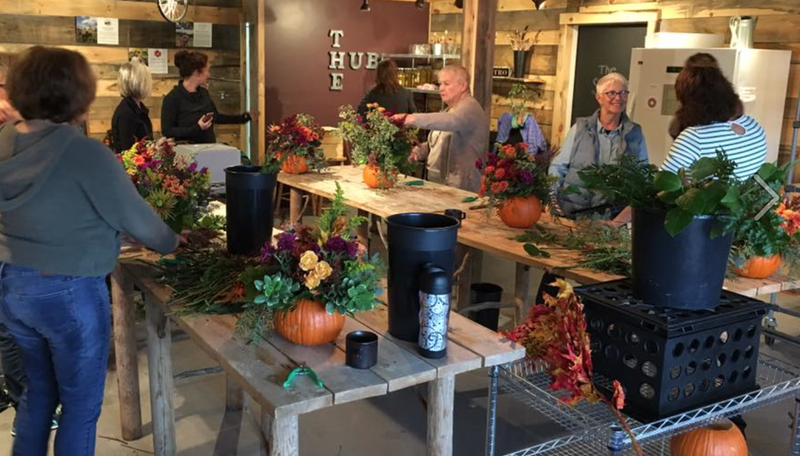 Workshops take place at The Hub on the Hill in Essex, NY. Sunday, December 3--Make your own Boxwood Tree! Email us or check our Facebook page for upcoming workshops.